Monday - Go to Brain Pop Charles Darwin Video here . ​Tuesday - Go to Brain Pop Genetic Mutations Video here . Wednesday - - Go to Brain Pop Natural Selection Video here . Thursday - Complete Weekly Study Guide. Want extra practice before this week's quiz? Go study for 15 minutes on Quizlet. Learn, Match, and Gravity are all GREAT Study Tools! Friday - Read Evolution preview article, GIST, and answer questions. Want to do something technological but don't want to make a Power Point? Please check out the following websites to see all of the options you could possibly do for the VISUAL part of your project. Please keep in mind that if you select one of these you are saying that you will READ, EXPLORE, and FIGURE OUT how it works :) I'm not an expert on any of these, but I'm the type of person that likes figuring things out and I know many of you are too! Enjoy and I can't wait to see what you come up with! 9. Animoto- Cool Video/Slideshow maker (I think I can create student accounts, let me know if you're interested). 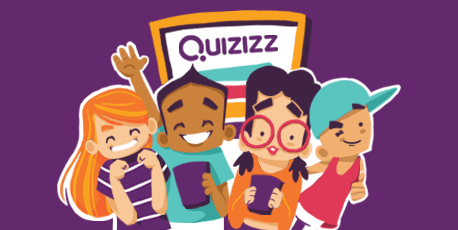 Go to QUIZZIZ website here , enter the game code 829008, and play. ​watch "How Your Bones and Skeleton Works" video and complete the questions as you watch. Go to Ed Puzzle Here, create an account using your GOOGLE login information, and watch video and complete the questions while watching. 1. Click here to access "Urinary System" BrainPop! 5. When you finish, Click on "Quiz"
6. Click on "Graded "
7. Take the quiz based on the video you just watched, feel free to rewatch the video if necessary. 8. When you finish, Click "Email Your Results"
9. Complete information (Full Name, My Email ( jfreeman@kippstrive.org ), Homeroom). *If you have a phone or a tablet you have to download the APP and screenshot your quiz score to me :) It WON'T let you email from a phone/tablet app. ​watch video and complete the questions as you watch. ​Go to the following link to join our game! In order to get homework credit I HAVE to know who you are! This means that when you play for homework you have to use your REAL name. For consistency, please use your USA TEST PREP login name. Feel free to use your notes as you play! Directions: Watch the video until the 7:00 mark and answer the questions at the button below. You can watch the entire video if you want :) We already watched the first several minutes in class on Monday. Don't forget to check out the extra credit page! Loves to teach science and loves her students even more than that!